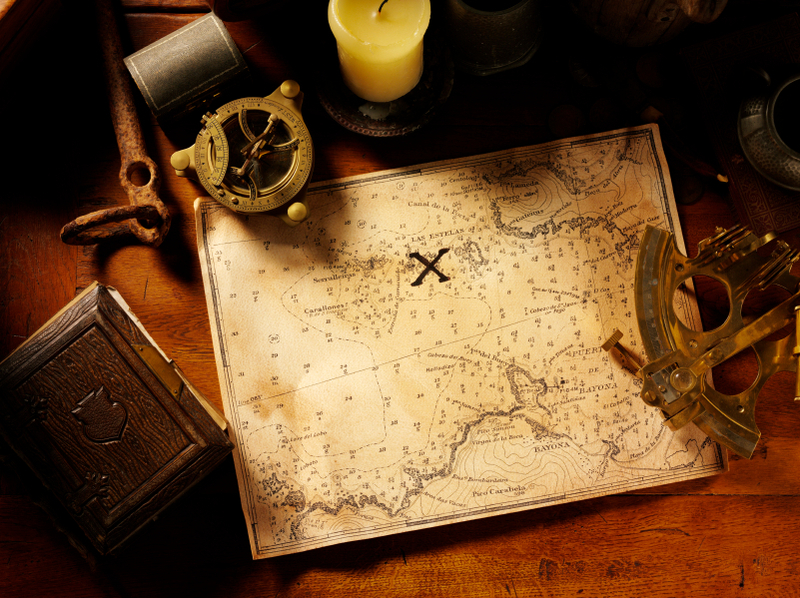 We use numerous well-known terms and phrases in everyday conversation but did you know just how many actually originate from nautical terms? Well here’s a small selection of words and phrases originating from nautical terms – for your interest and amusement! Maybe some should be taken with more than a pinch of salt….! So let’s start with one of those well- known phrases, to turn a blind eye, meaning to ignore intentionally. In 1801, during the Battle of Copenhagen, Admiral Nelson deliberately held his telescope to his blind eye, in order not to see the flag signal from the commander to stop the bombardment. And he won! If you’re sad and describe yourself as “feeling blue,” you’re using one of the nautical terms coined from a custom among many old deep water sailing ships. If the ship lost the captain or any of the officers during its voyage, she would fly blue flags and have a blue band painted along her entire hull when returning to home port. The term hunky-dory meaning everything is OK was coined from a street named “Honcho-Dori” in Yokohama, Japan. Since the inhabitants of this street allegedly catered to the pleasures of sailors, it is said the street’s name became synonymous for anything that is enjoyable – or at least satisfactory! Today it’s a term used for an event that would take an inordinate amount of luck to actually happen, although the origins are deemed to be from nautical terms. In the early days ships guns were inaccurate except at very close quarters. So it was extremely lucky for any shot to find its target from any great distance – hence the term – it’s a long shot. My favourite of the nautical terms, to say that you’re pooped basically means that you’re completely washed out, and it comes from seafaring origin. While in very rough seas if a sailing ship was drenched by waves that reached the poop deck, the highest deck of the ship, it was said to have been pooped – a term sailors used for the ship being completely washed out. To bravely face up to something unpleasant, and bite the bullet, is one of the nautical terms that is associated with soldiers, as well as sailors. This originated from the practice of giving sailors and soldiers a bullet to bite during amputations or other surgery before the use of anaesthetics. This expression, meaning to reveal your real intentions, originates from an old warship custom. The warships would carry an assortment of coloured flags on board from many different countries, and would fly them in various situations to deceive a potential enemy. In nautical terms to show your true colours would be to fly the ship’s correct flag – revealing it’s true identity and colours. A phrase used pretty much universally today. This commonly used expression, indicating an extremely cramped or congested place, is one of the nautical terms originating from the 17th century – and the cat wasn’t of the feline variety! The cat was a whip with nine lengths of cord, with each cord having nine knots tied into it – the full name for the whip being cat o’ nine tails. This instrument of torture was used to punish crew members for wrong doing and all hands would be called to the deck to witness the flogging. With a full crew up on deck to watch, it became so crowded that the cat o’ nine tails was difficult to use without hitting other crew members, in other words “no room to swing a cat”. The last of our traditional nautical terms indicates that it is time for a morning drink. It was generally assumed in northern latitudes the sun would show above the foreyard of a ship by 11.00 am. This was, by custom and rule, the time of the first rum issue of the day for the officers and men – the officers drinking neat rum, and the men’s diluted. Eventually the phrase was adopted universally as a suitable time to partake in an alcoholic beverage – whatever the time of day! This entry was posted in News and tagged nautical terms by admin. Bookmark the permalink.